We re-cut the film as close as we wanted it… to the book… obviously we couldn’t have ALL of the stuff from the book because we would need extra footage. it all happens in sequence until when Gandalf trots to Minas Tirith and looks at the old scrolls… then we see an un-cut and un-narrated LAST ALLIANCE battle. Removed a few of Merry and Pippin’s Jar Jar moments. It goes in order but there are no Gandalf/Saruman sub-plot intercuts… so now we, the audience don’t know what happened to him! 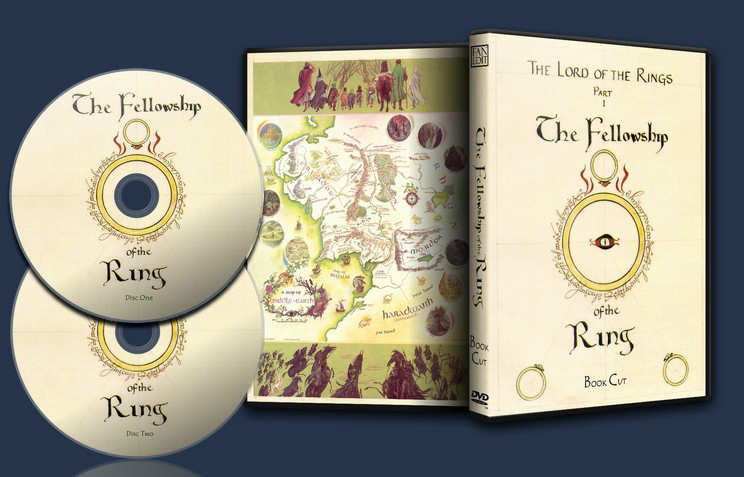 Disc 2 is inserted, and we fade in with Gandalf sitting near Frodo’s bed. When Frodo asks him what happened, Gandalf recalls the FULL and UNCUT sub-plot of the Saruman “incident,” minus the line about Sauron not being able to take physical shape. A few chunks of the prologue are dispersed throughout the film, such as Isildur’s fate and some Gollum content. We also tried to make Saruman a little less “central” as a villian… like in the books. So, you won’t be hearing Gandalf say “It’s Sarumaaaan!” at Caradrhas for example. Nor, will you see alot of Uruk-Hai suiting up and stuff that takes place in Saruman’s shack. Moria sees a shortened plight on the crumbling staircase, and the fellowship don’t see/notice any dwarf corpses until Balin’s tomb. So the Watcher’s attack is more of a surpriseâ€� sort of. The theatrical version of the approach on LothlÃ�rien is used in order to remove the out of place scene from the extended edition. Galadriel does not tell Frodo someone inside the fellowship will try to take the ring, nor talks to Aragorn about his self-doubt. When they boat through the Anduin there is no “Isengard theme music video” with intercuts with the Fellowship and the Uruk-Hai. The extended night scene with Boromir, Aragorn, Frodo, and Gollum…. We removed the quarrel between Boromir and Aragorn. 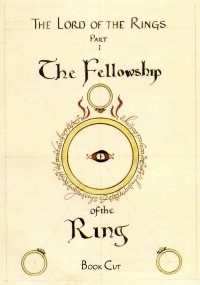 Because Aragorn is too much of a self-doubting nut and the book doesn’t reveal such bitterness toward Boromir or Gondor on his part. And we do not see Boromir die… he blows his horn once and the trio run for his aid and we CUT to Frodo with the ring. The film ends that way… without intercutting with Aragorn and company… that, we will see in our revamped TTT cut!